It's so hard to keep up with the number of new restaurants opening here and there. I find myself confused whenever I eat out as I get bombarded with ads and all sorts of hypes and gimmicks. And when I'm not in the mood to do a bit of research to know if the new restaurant that opened around the corner is worth my money, I stick with the classics. 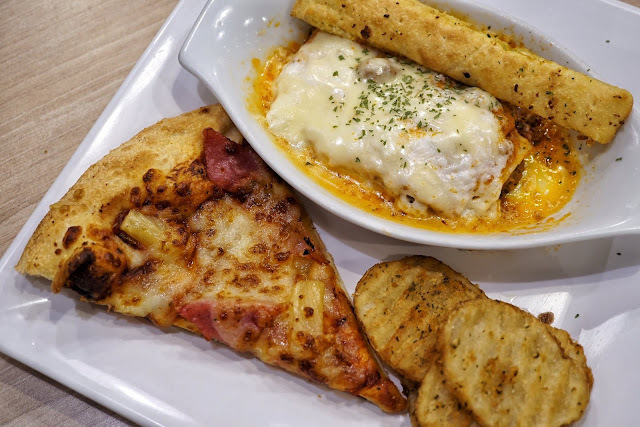 And one afternoon, I found myself craving for Greenwich Lasagna. It has been several months since I've visited Greenwich. 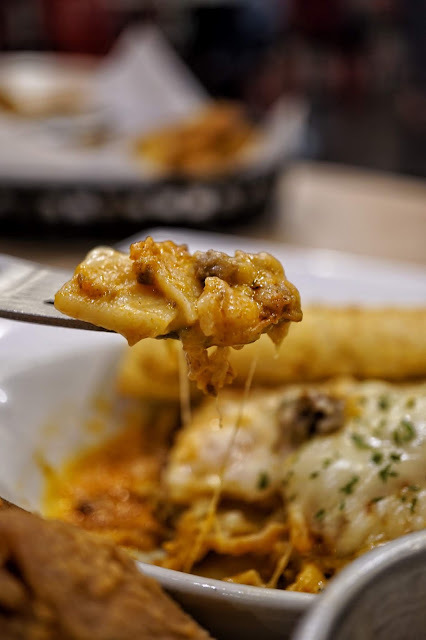 It has been my go to place for simple, no frills lasagna and it never fails to delight my taste buds. 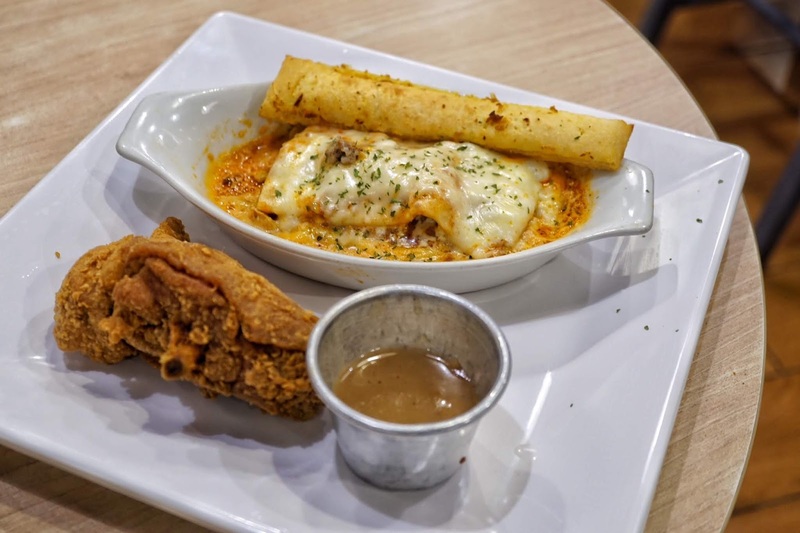 I heard that its fried chicken is pretty good too so I went with Chicken Lasagna Supreme Plate (PHP154) while R got Hawaiian Pizza with Lasagna Supreme, Potato Waves and Drink set (PHP169). We also got Wings and Waves (PHP149) and Dippers (PHP45). Just like any fast food chain, service was fast. 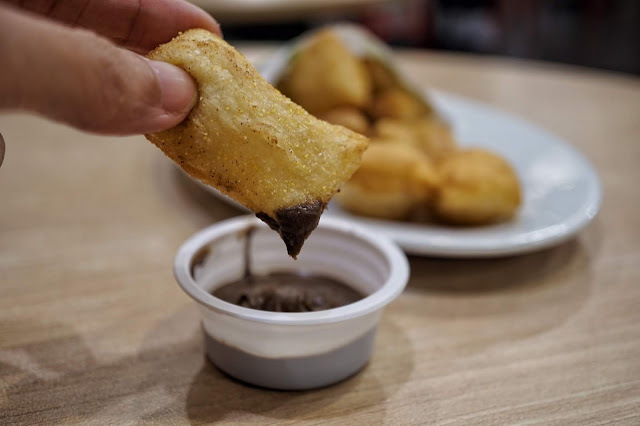 First served was our dippers which shares similarities with churros. 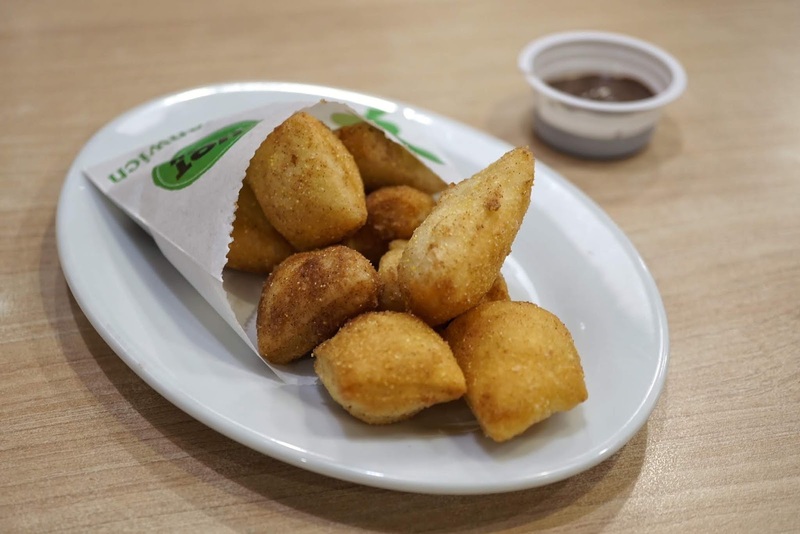 These bite-sized deep-fried dough lightly dashed with cinnamon sugar can be enjoyed as is or with chocolate dip. I saw a few influencers raving about this treat so I had high expectations. However, it wasn't anything special. It is a straightforward deep-fried sugary treat. Then again, you can't really expect much from a PHP45 dessert. Our Lasagna Supreme plates with chicken and pizza were served soon after and I quickly had a bite of the piping hot cheesy and meaty pasta. As always, it was nothing short of bliss. Each bite was chunky and cheesy. The layers of pasta had good texture to hold everything together. 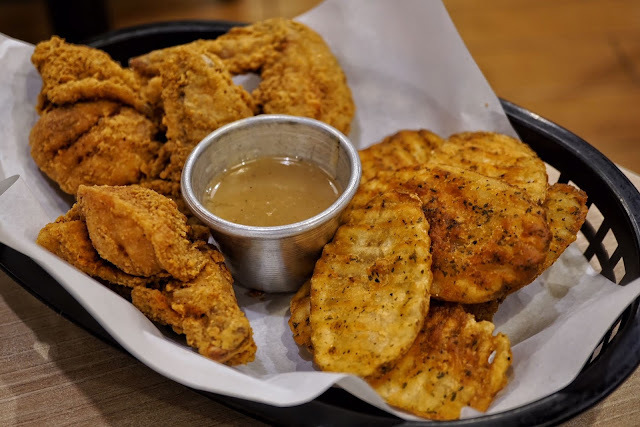 And though disappointed with the dippers, the hype for Greenwich fried chicken is real! It's really good! 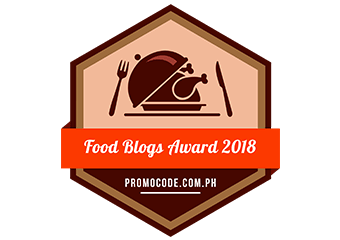 Juicy and flavorful from skin to meat, I found a new chicken favorite. 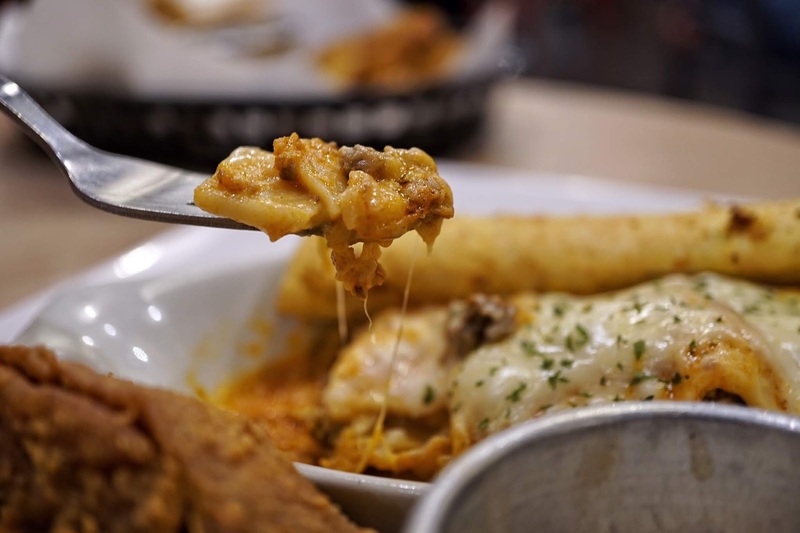 Shakey's found a new competitor for its chicken and mojos basket with Greenwich's Wings and Waves. 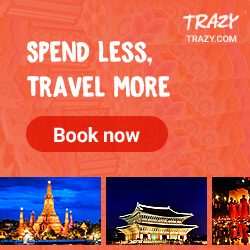 Though the latter has smaller portions, it also is a lot cheaper making it an attractive alternative. 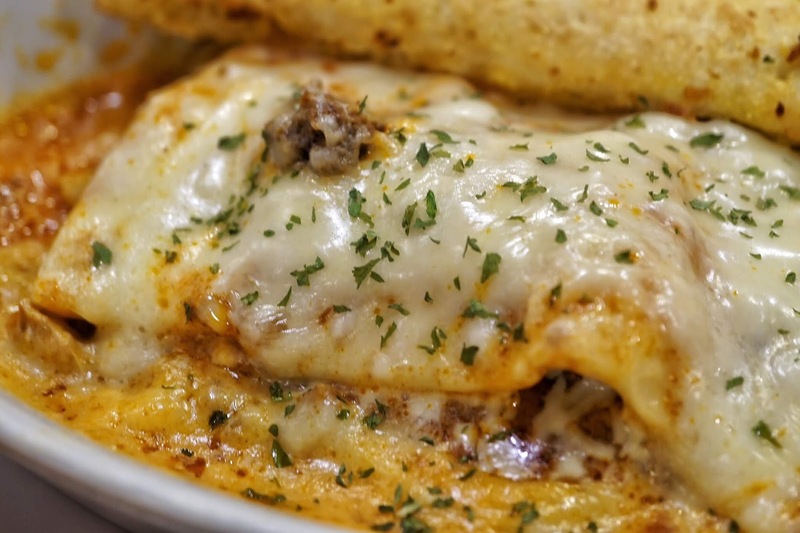 Overall, Greenwich is still one of the best places to grab lasagna. And now, even fried chicken!